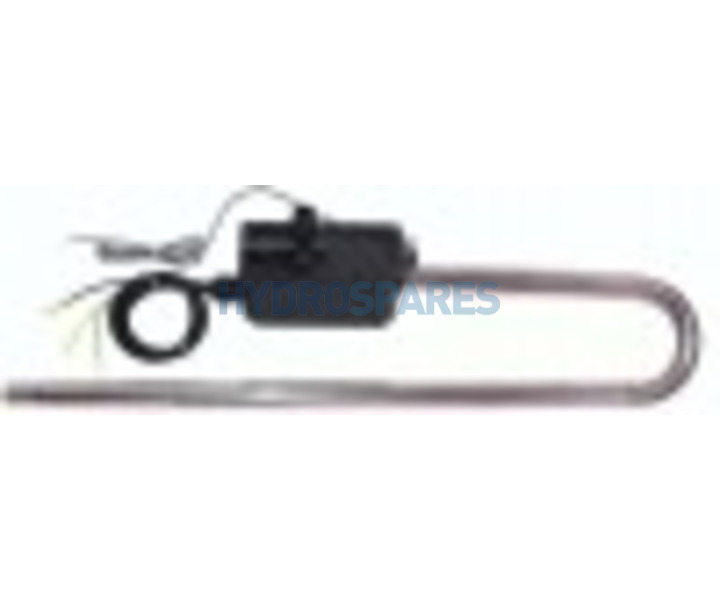 This Laing trombone style heater is commonly found on Caldera, Jacuzzi, Southwest & Sundance Hot Tubs and Spas. Very recognisable shape. Built in thermal saftey shut off. Has built in wire harness from the in-built hi limit sensor to connect to the PCB. Uses seperate PSI/flowswitchs to regulate flow. Direct replacement for the 2.7KW version.